Set in the wild and cut-throat boom years leading up to and including 1910 in the liberal coal mining and railroad town of Keystone, West Virginia. This is an extraordinary tale of personal ambition pitched against family devotion and one man’s promise to return from exile to avenge the murder of his brother and return to the only woman he has ever truly loved – and all with a deck of cards. 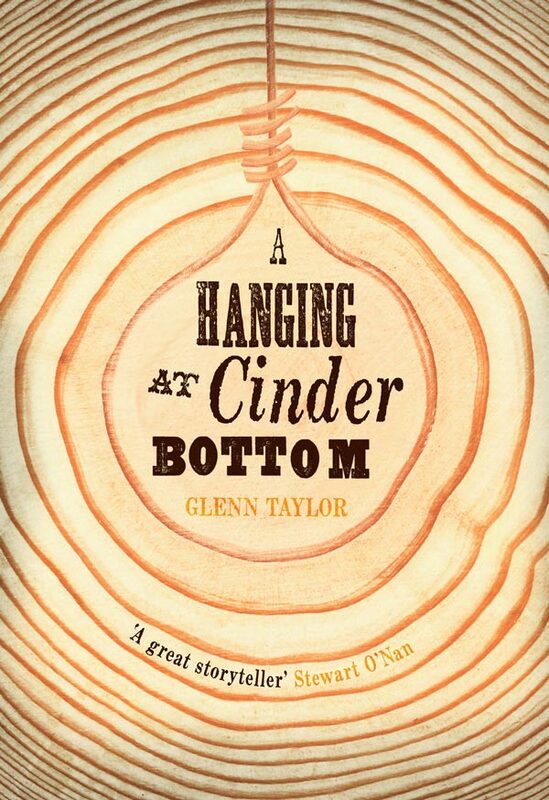 For readers of classic and quirky American fiction like Annie Proulx and John Irving, The Hanging at Cinder Bottom is a vivid read, like being in a Coen Brothers movie. The brief from Alex for Borough Press, was to create a hardback with a textural, photographic cover with period type akin to a John Steinbeck, but also to have fun with it. Borough are always open to creative thinking. Mark insisted in reading the book, and had the noose idea even before starting the novel. Somewhat off-brief, he went with it and it sailed through. The rings of a tree represented the passage of time in the novel and echoed the famous gambling table on which The Keystone Kid plied his trade. Mark continued the theme inside the book by asking to produce chapter openers which got bigger, as a tree would, ad the novel progressed. It’s been such a success that Mark blogged about if on the Harpercollins Art Department blog, you can read it HERE.